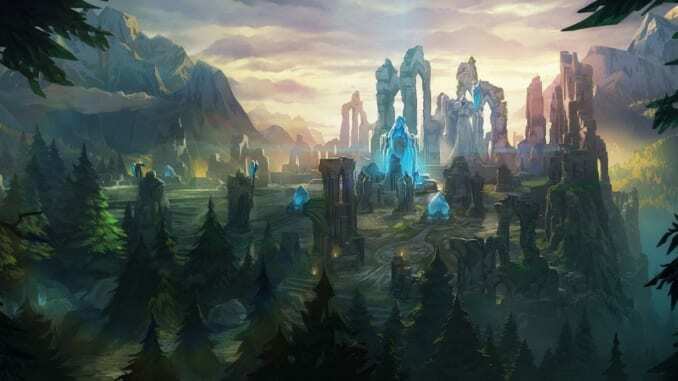 This article contains a guide on how to play Attack Damage Carry (ADC) in League of Legends (LoL), including strategies, tips, and tricks. The Attack Damage Carry, often referred to as ADC, is one of the most important roles in League of Legends. It is considered to be one of the most sought after lane because of how impactful it is when played correctly. There are different strategies in each AD carry champions, but we will be highlighting the basic and essential things when playing the role. There are many types of ADC champions with different playstyles. There are champions that deal damage from far away like Tristana and Jhin, and there are those who are very mobile like Vayne and Ezreal. Try different champions to see what type of ADC you are good at. If you are new to playing League of Legends, Ashe and Miss Fortune are your best bet since they have an easier kit compared to the others. ADC’s almost always have the highest creep score after every match, and it’s no wonder why they are usually the factor to a team’s success. Try to get every creep score possible in the laning phase. Getting 80 cs in 10 minutes is pretty good for a start. You should try to start aiming for this number when laning, as it can give you a huge advantage early on. However, be careful on when to aggressively farm and try to control your lane as often as possible. Let the junglers and the other laners do the ganking. Start ganking only if one of the towers in the bot lane are destroyed. Going for a gank as an ADC laner in the early game will make you lose experience and gold advatange against the enemy bot laner, as he can freely farm your minion waves and eventually your tower. ADC champions are usually squishy, especially those who have zero mobility like Jhin and Jinx, and so it is imperative that you always stick with your support. In team fights, usually staying at the back of your support or ally champion that is a good peeler can keep you alive. Playing ADC is usually straightforward, but in higher ELO games, the way you play ADC matters. Advanced ADC players usually stresses the importance of these mechanics that are easy to learn, but hard to master. These are kiting, auto attack resets, and orb walking. Kiting is a mechanic where you try to deal damage to your enemies while moving to avoid skill shots and gap closers. This is often regarded as one of the most important skill to learn in the mid to late game. Some champions like Ashe and Sivir have auto attack resets in their kit which makes them faster compared to auto attacking two times. Lastly, orb kiting is a difficult, yet a rewarding mechanic to master as an ADC. It is walking while in the middle of an auto-attack. This correlates with kiting, as both requires anticipating enemy movements while attacking, but orb kiting requires a lot of skill especially if your character has high attack speed. ADC is one of the most fulfilling roles in LoL, but it takes a lot of practice and dedication to master. When playing as the ADC, make sure that you are ready to farm as many creeps as possible and later on carry the team to victory.